Last summer, I painstakingly decorated our new home. All the way down to the Q-tip canister in the guest bathroom—let’s just say I was a little neurotic about it. Well, that went out the window when one book made me rethink my entire living space. Y’all, the first chapter will have you schlepping bags of once-cherished belongings to the nearest Goodwill. There’s nothing like a deep clean to shake off the winter blues, but why stop at your personal space? 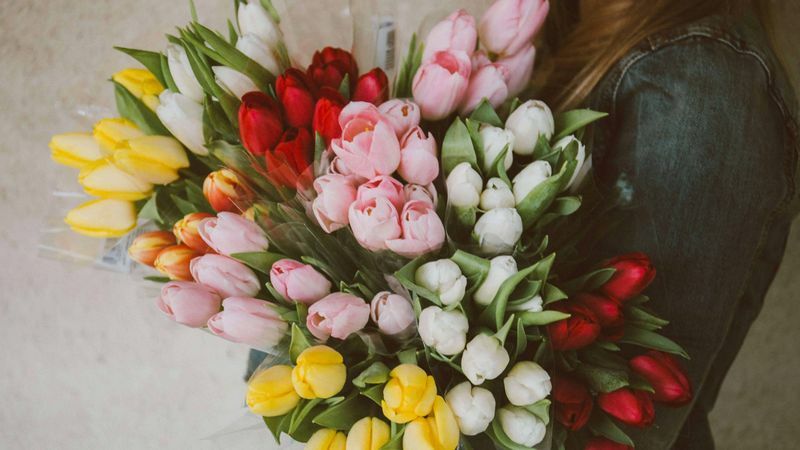 Organizing your finances can be as refreshing as airing out your linen bedding and scooping up some tulips at the market. Here are a few easy ways to kick off the spring with clean money habits. 1. Check in on your debt balances. If you carry student loans or credit card debt, now is a great time to start tackling it. First, grab a notebook and take inventory of every piece of debt you owe. Write down the amounts, interest rates, and minimum payments. Then, think about how to prioritize it. Working from highest to lowest interest rate is an efficient option, but the snowball method may be more effective for you. That means paying down smaller debts first to get the momentum going, regardless of interest rate. Have you ever stopped to think about where you spend most of your money? The reality may surprise you. Automating bills and swiping credit cards removes the tactile element from spending. That's why it’s so important to reconnect. Download a budgeting app like Personal Capital to discover where you spend the most dough. Armed with this knowledge, you can prune the low-hanging fruit and turbocharge your savings. 3. Check your credit reports. All this credit stuff can get confusing, so here’s the lowdown. When you borrow and repay money, your activity is reported to the three credit bureaus: Experian, TransUnion, and Equifax. Each bureau aggregates your activity onto a credit report. Then, your credit score is calculated from this information. You can access each of your three credit reports for free once a year by going to AnnualCreditReport.com. I can’t stress enough the importance of reviewing these each year. Not only should you monitor your credit history, but you also need to check for errors that can ding your score. If you do find something wrong, you can dispute it directly through the site. We all love finding $20 in an old pair of jeans, right? Well, you may have more lost money than you realize. Did your old apartment complex ever return your security deposit? Did you cash all your payroll checks from your side job in school? What happened to the Coca Cola stock you got for your thirteenth birthday (was that just me…)? Unclaimed property can include old bank accounts, safe deposit boxes, life insurance payouts, trust distributions, and more. MissingMoney.com is a website that aggregates data from every state’s unclaimed property program. All you have to do is search your name and state (try every state you’ve lived in). If you find lost money, you can claim it directly through the site. Then, your state will mail you a check in as little as two weeks. This will soon be your favorite spring chore, I promise! 5. Use technology to get your finances in order. Digit – Connects to your checking account and helps you save money automatically. Personal Capital – The most robust personal finance app on the market! Helps you track your net worth, budget, invest, and plan for retirement. Wealthfront – Makes long-term investing accessible to everyone. Calculates the best portfolio strategy based on your risk profile and invests your money accordingly. Ebates – Sends you cash when you shop online, plus $10 for signing up. During the holidays, it’s an inspiring exercise to brainstorm resolutions for the upcoming year. Admittedly, some of these take a backseat come February. But the beginning of spring reinvigorates my motivation to declutter and reprioritize. A deep spring clean keeps me productive and in the mindset to tackle new lifestyle goals—finances included! How are you spring cleaning this year?